Paul was born in 1961, in Gloucestershire, and studied at Cheltenham College of Art. He then moved to London, working from his studio in Holborn where he undertook commissions for public works of art, worldwide, as well as collections for private clients. In 1991 he took a year’s sabbatical to paint whilst travelling the world, this journey took him through Africa, India, Southeast Asia and Central America. On his return he was invited to exhibit the paintings inspired by his travels in several solo shows. Following this, in 1993, he was commissioned to be expedition artist on the first ever crossing of the Taklamakan Desert in North West China for three months, after which he exhibited these works at various shows, including at the Royal Geographical Society in London. He now lives and works from his studio in Hampshire and continues to exhibit around the country, whilst still travelling abroad regularly to find inspiration for his paintings. 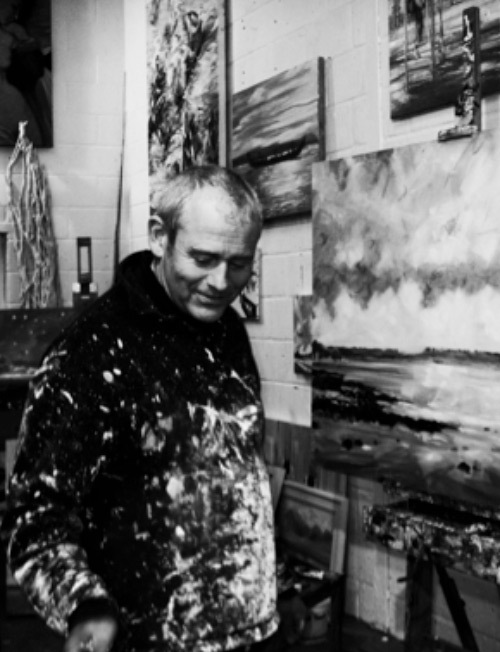 His most recent work is inspired by the landscapes and coastal areas of England.